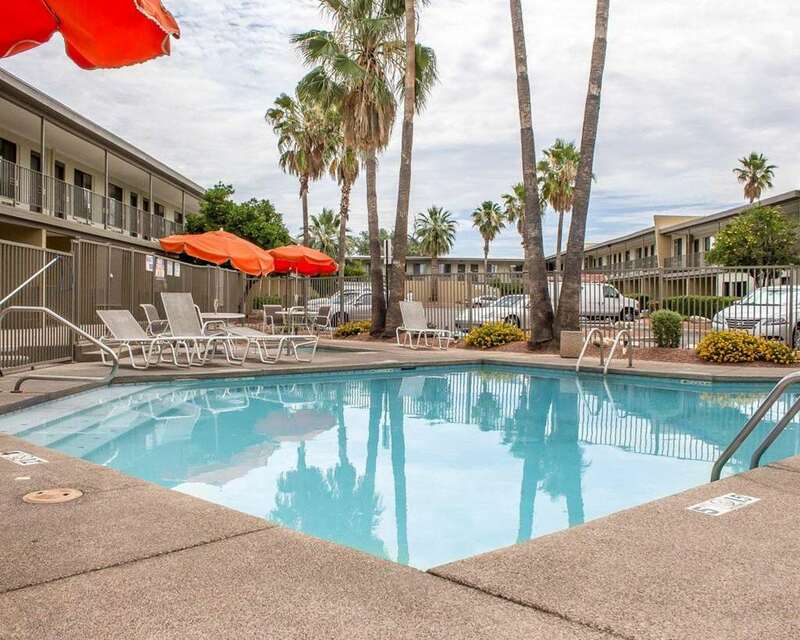 The Quality Inn Flamingo Downtown hotel in Tucson, AZ gives you real value with peace of mind. Our smoke-free, pet-friendly hotel is near Tucson Mall, University of Arizona, Tucson Convention Center, Pima Community College and Davis-Monthan Air Force Base. Enjoy amenities that include free deluxe continental breakfast, free WiFi, free coffee, an outdoor pool and a hot tub, guest laundry facility, valet cleaning service, meeting room and copy and fax machines. Each inviting guest room features a microwave, Flat-Screen TV, coffee maker, hair dryer, iron and ironing board. Also, earn rewards including free nights and gift cards with our Choice Privileges Rewards program.